Audio Technica ATH-SPORT1. SonicSport® In-ear Headphones. 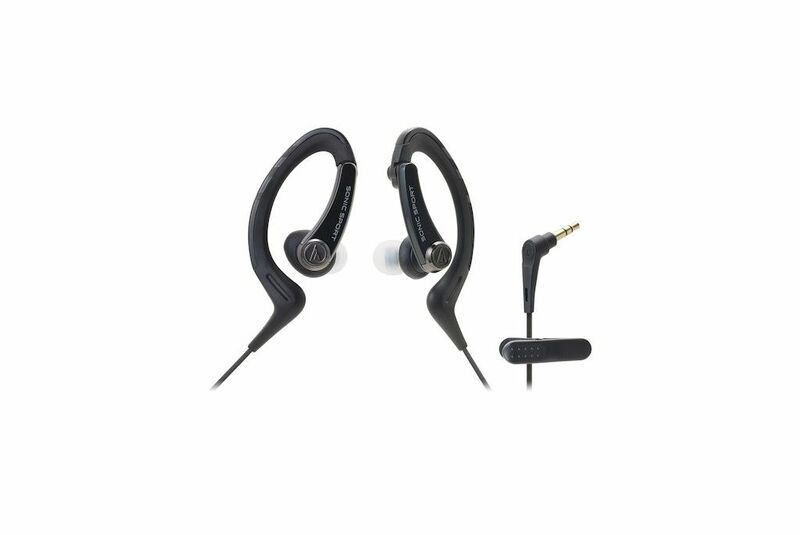 Designed especially for active use, the ATH-SPORT1 have a hinged ear hook that pivots to provide a custom fit around the ears for secure, long-lasting comfort, even during a vigorous workout. 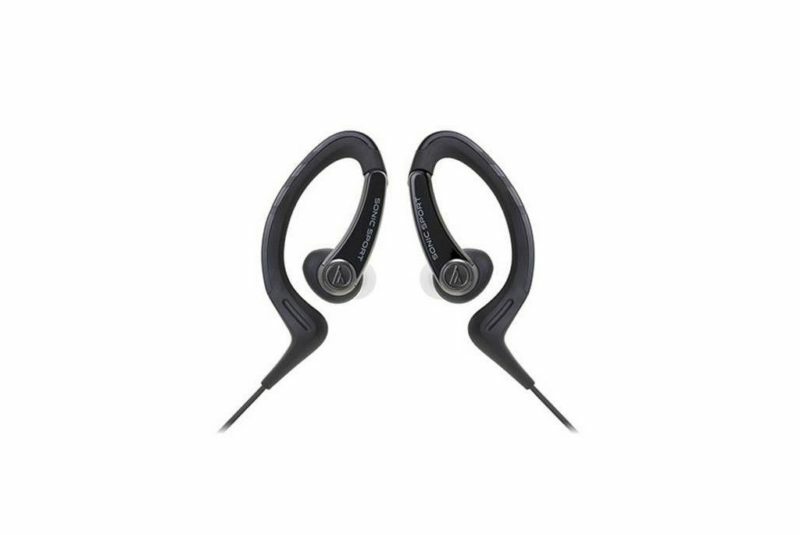 Featuring high-quality drivers for clear, detailed and dynamic sound, the sports headphones Audio Technica ATH-SPORT1 come with both standard silicone eartips (XS/S/M/L) for outstanding sound isolation and ridged eartips (S/M/L) to allow some ambient noise for safer use outdoors. The headphones are IPX5 Waterproof Certified*, meaning they can be washed after use. The 3.9 ft. (1.2 m) cable comes with a clip to keep the cable conveniently fastened to clothing during workouts and other active use. These sports earphones have been specially designed to last and go along with you in your daily training sessions. Two types of interchangeable eartips included: standard (XS/S/M/L) for sound isolation and ridged (S/M/L) to allow some ambient noise for safer use outdoors.